TextMorph is a FREE powerful ASCII text formatter. It is also a text editor, similar to Notepad. 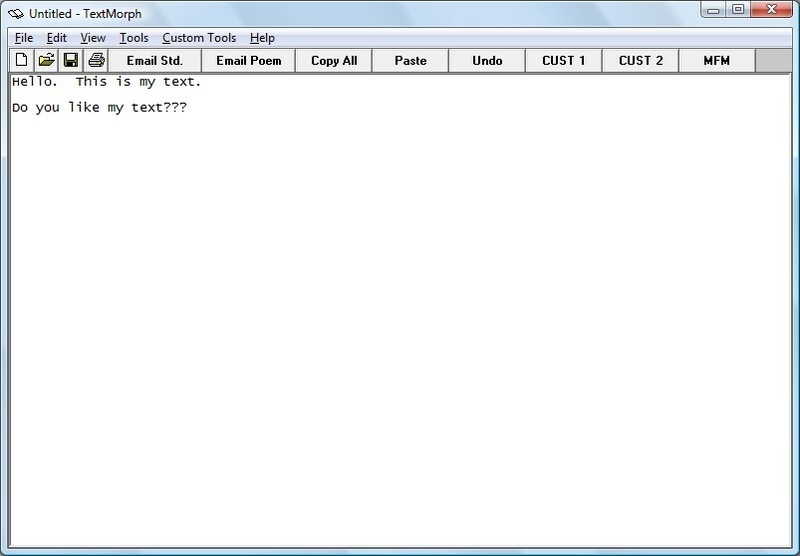 There are lots of text editing programs around, but TextMorph has a number of things that set it apart. 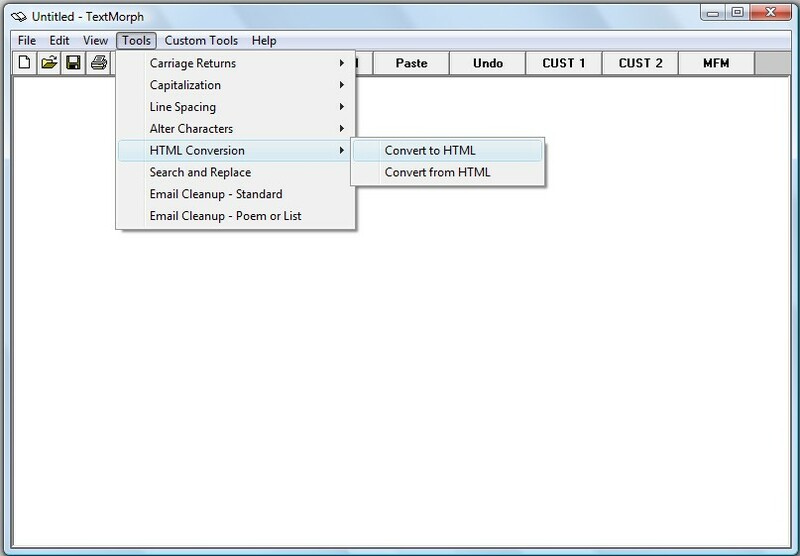 TextMorph has a number of "tools" that you can apply to the text, such as converting from text to HTML and vice versa, cleaning up emails (removing all those ">" signs and so forth), search and replace by words OR multiple paragraphs, changing upper/lower case, etc. - all with the click of a mouse! You can also create your own custom tools that utilize the pre-set tools. 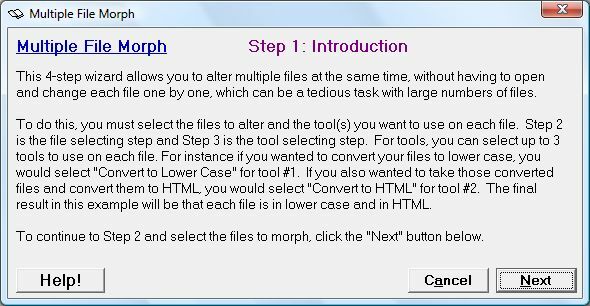 Plus, with the Multiple File Morph wizard, you can apply tools to a large group of files at one time, without having to open and edit each file. This makes TextMorph an ideal program for people who work with large numbers of text files or archives of HTML or text content, as it can quickly and easily apply formatting to all files. TextMorph is easy to use, but is also very powerful and provides many advanced options including command-line processing of files and the ability to actually make your own tools and interface them with TextMorph (useful for programmers). Windows 10/8.1/8/7/XP & most others back to Windows 95!